Logic Smoke Mint Electronic Cigarette liquid is a tried and true mint flavor that will keep you coming back for more. You'll love this creamy mint flavor as an all day vape or added to some of our desert flavors like chocolate cream. 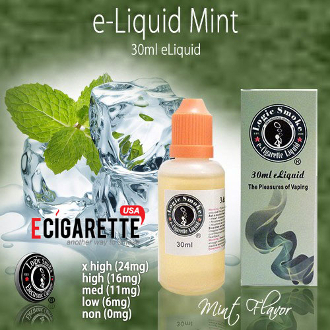 Pick up a bottle of Mint Electronic Cigarette liquid from Logic Smoke and reward yourself.